When I was a football-mad young boy growing up in the 1960’s, although you had your favourite team that you supported, many would have a second team that they followed. The comics and magazines aimed at young boys, such as the Tiger, Roy of the Rovers, Charles Buchan’s Football Monthly, Goal, Soccer Star etc. positively encouraged appreciation of players and teams beyond your own. Especially following the 1966 World Cup, when West Ham players were instrumental (to say the least) in England lifting the trophy for the one and only time, many acknowledged us as their favourite second team. I can personally relate to this as when I advertised for pen friends (do youngsters still do this activity these days?) in Soccer Star magazine I was swamped with responses from supporters from all over the country who related to us as their second team to follow. In the modern social media age apparently liking a team beyond your own is considered a no-no. You have to love the team you follow and hate or despise all others, otherwise you are not a “true supporter”. I’m sorry but I can’t relate to those emotions. I can’t bring myself to actually “hate” any team. I can’t say I particularly care for many of them, and in the Premier League both Stoke and West Brom easily top my list of teams I really don’t like. And though I don’t particularly care for Tottenham either, I have a grudging admiration for some of the football that they play. Of all the other teams in the Premier League, then if I had to pick a second team, or a team I like to see beat all the others (other than West Ham of course) then it would be Arsenal. I also have a soft spot for Newcastle, Bournemouth and Brighton. These are all for varying reasons that extend back to my youth, and are not particularly strong feelings, other than if I am watching a game on Sky or BT, I will usually want one side to beat the other. I find it hard to watch a game as a strict neutral and have no interest in the outcome. Unlike so many who seem to relish teams from the bottom half beating the big boys, I cannot join that group either. As West Ham are frequently one of the sides involved in the relegation fight these days, then I will usually want one of our “lower in the league” competitors to lose to a top team, purely for the preservation of our Premier League place. This weekend we visit the South Coast to visit a team that I have a bit of a soft spot for. Nevertheless, although I hope they escape the drop, I also want us to give them a battering equivalent of the one that they gave us at the London Stadium (3-0) towards the end of October. That was just over three months ago, and their first away victory enabled them to move into the top half of the table, while we sat immediately above the three teams in the drop zone at the time, namely Leicester, Bournemouth and Crystal Palace. A lot can change in three months of course, and to illustrate this both Leicester and Bournemouth are now in the top half of the table (8th and 10th), with Palace now 13th, just one place below ourselves. Brighton, on the other hand are now 15th and are only one point better off than Southampton and Swansea who occupy two of the three relegation places, just above West Brom at the bottom. Ironically the three teams at the bottom now were all between 11th and 14th in the league at the end of October. The battle to avoid the drop is now perhaps the most interesting part of the Premier League. At the start of the season there could have only been a maximum of six possible contenders to win it, and the elite six are as expected well clear of the rest. Manchester City already have the title sewn up so it remains to be seen which three of the chasing five will get into the coveted “top four” for the Champions League slots, and the money that it brings. You would think that Burnley, Leicester, and possibly Everton probably have enough points in the bag already to avoid relegation, so the remaining eleven teams ranging from Bournemouth on 28 points (but only 5 clear of 18th / 19th) down to West Brom on 20 at the bottom are the ones who will provide the most interest in the final third of the season. If Brighton were to repeat their 3-0 victory over us from earlier this season then they would leapfrog us, whereas if we beat them they could easily find themselves in the bottom three. Whilst all of our remaining games are important, those against the other teams in the bottom eleven are the true six-pointers, and many will set out not to lose, just as ourselves and Palace appeared to settle for a point apiece with a quarter of the game still to go on Tuesday night. The importance of this game (as I guess all games) cannot be over-emphasised. If we can win then it would take a lot of the pressure off whilst we await the return to fitness of some of our key players. With the extent of our injury list many were surprised that we didn’t bring in more new faces in the transfer window that closed this week. In fact the word surprised is a bit of an understatement if you read any of the damning comments aimed at our board via social media sites. One thing that disappointed me about the knee-jerk reactions was the negativity aimed at our new recruit, Jordan Hugill. Whilst I would have been more excited by the recruitment of Cairney (from Fulham) or especially Madison (from Norwich) (both midfielders) I am not averse to the club taking on players from a lower level. 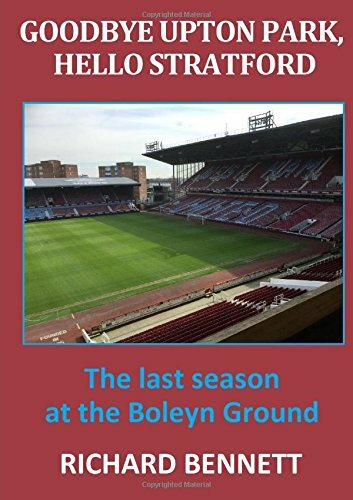 Many will forget that Billy Bonds, Julian Dicks, Dean Ashton, Alan Devonshire, Aaron Cresswell, and Michail Antonio were all bought from teams at a level below ourselves. I don’t know if Hugill will cut it at the top level, but from what I’ve seen on Championship highlight programmes in the last couple of seasons he is certainly worth a try. He seems to me to be a fully committed, all action, old fashioned centre forward, and I believe that he may surprise a few people. To anyone who hasn’t seen him play I would describe his playing style as “raw Dean Ashton”. It may not work, but then again we’ve bought enough players with much bigger reputations where it didn’t happen. Recent form is never a particularly good indicator when assessing how West Ham will perform in a game of football. Brighton’s recent home form is poor with just one win in their last nine games at the AMEX. In their last 13 Premier League games Brighton have failed to score in nine of them, and have only scored 5 goals in the other four. Their entry in the “goals for” column is a lower number than any other team for the season as a whole, and they have only scored more than once in just four of their 25 games. So expect a hat full of goals from the home side then! On the other hand we have only lost one of our last ten Premier League games, so it is about time we had another defeat! I expect to see a tight game probably ending in a draw, perhaps 1-1, or even goalless. But I am hoping that we can extend our excellent recent away form in the league, and perhaps sneak a win. What I am particularly looking forward to though, is watching Mario, Lanzini, and Arnie all playing in the same team. I don’t know how far in the future this will be, but I am expecting great things creatively when it happens. Let us hope that it is sooner rather than later. Next Next post: West Ham To Continue Their Unbeaten Start To The Year At Brighton?